Something Green with a little photoshopping to accentuate the green. This is my Heart Chakra tshirt. Anahata. The energetic dwelling of our love, kindness and compassion. 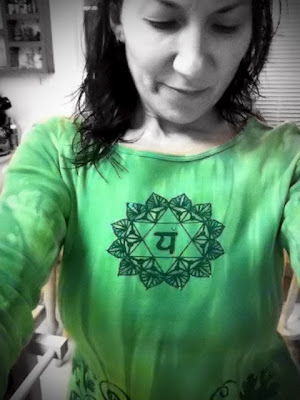 absolutely love your green shot, I am participating too and saw your shot on Kimberly's blog. You have a great blog too!